Apartment location in city big plus. Liked how there were 3 bedrooms, a roof-top area, and able to make own food, which did several times. Was much nicer than staying in a hotel. Relatively close to train station (we walked, but tram also available). The place was enormous, clean, nicely decorated. View from apartment and rooftop terrace was amazing. I would recommend this place to anyone! Everything else was great. 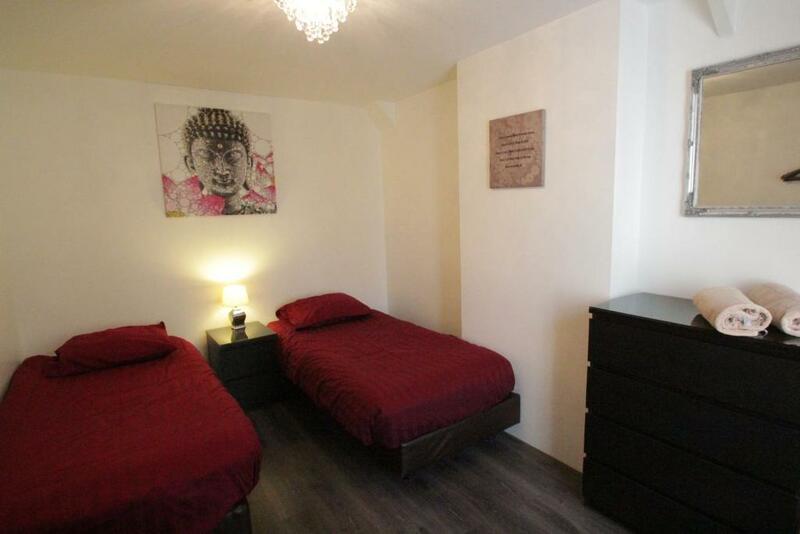 Great flat, very modern, facilities all there. Great area. Very good value for money. Would highly recommend. Very responsible host, good menu at restraunt downstairs. Lage ist top, Ambiente super, Kontakt sehr nett und rasche Reaktion bei Anfragen. الموقع ممتاز جدا والشقة كبيرة وفيها جميع الخدمات مو ناقصها شي ..
Отель находится в центре города, поэтому в шаговой доступности и площадь Дам, и музейный квартал. Не говоря уже о том, что просто очень приятно гулять в центральной части вдоль каналов, рассматривая чудесную архитектуру города. Мы были с двумя детьми -7 и 18 лет и даже до Центрального вокзала ходили пешком! В квартире есть все необходимое для длительного проживания. Минимум мебели, однако этого вполне достаточно. Квартира чистая, мебель, ковровое покрытие не требует замены. Очень рекомендую тем путешествующим, кому тишина не является главным приоритетом. Emplacement parfait, vue sympa sur la place, appartement spacieux, joliment décoré ! Literie confortable , salles d'eau agréables . Lock in a great price for Coco's Outback Apartments – rated 8.8 by recent guests! 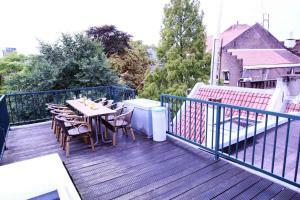 Coco's Outback Apartments is a self-catering accommodations located in Amsterdam. Free WiFi access is available. 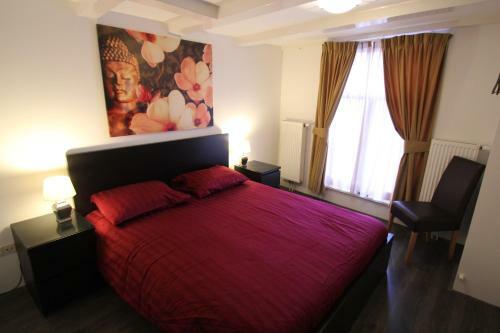 The property is 350 feet from Rembrandtplein and 650 feet from Flower Market. The apartment will provide you with a flat-screen TV and a seating area. Some apartments feature a terrace. There is a full kitchen with a dishwasher and a microwave. Featuring a bath, private bathroom also comes with a hairdryer. You can enjoy city view from the room. If you feel like visiting the surroundings, check out Carre Theater (2,300 feet) and Dam Square (2,650 feet). Schiphol Airport is located 6.8 mi from the property. 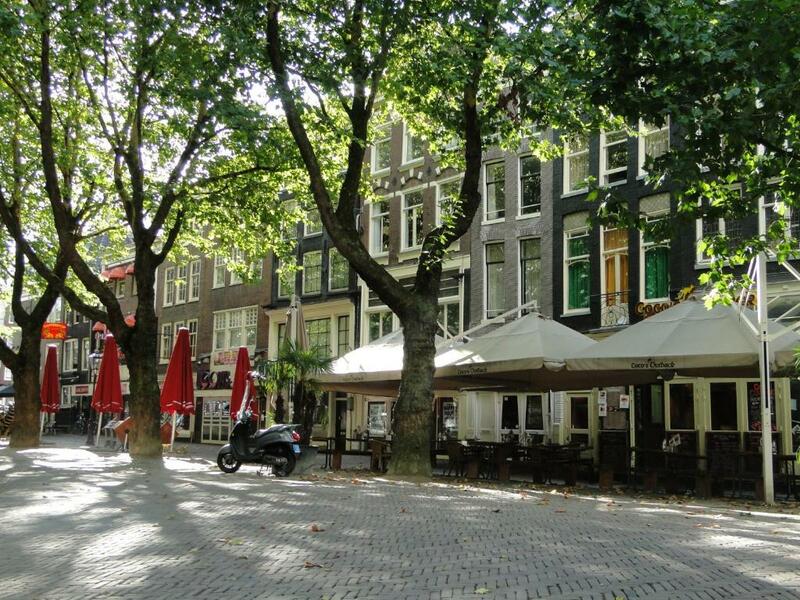 뀐 Located in the real heart of Amsterdam, this property has an excellent location score of 9.7! When would you like to stay at Coco's Outback Apartments? Featuring a private terrace, this modern 3-bedroom apartment overlooks bustling Rembrandt Square. It has an open-plan living area including sofas and a flat-screen TV and DVD player. The kitchen is equipped with an oven, dishwasher, and kitchenware. 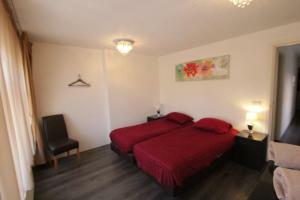 A washing machine and ironing facilities are provided in the apartment. It has 2 toilets, 1 bathroom with a shower, and 1 bathroom with a tub. A bottle of sparkling wine and a EUR 30 gift voucher for Coco's Outback Australian pub and restaurant are in the apartment on arrival. Public parking is available at a location nearby (reservation is not needed) and costs EUR 5 per hour. This modern 3-bedroom apartment has a rooftop terrace and overlooks bustling Rembrandt Square. 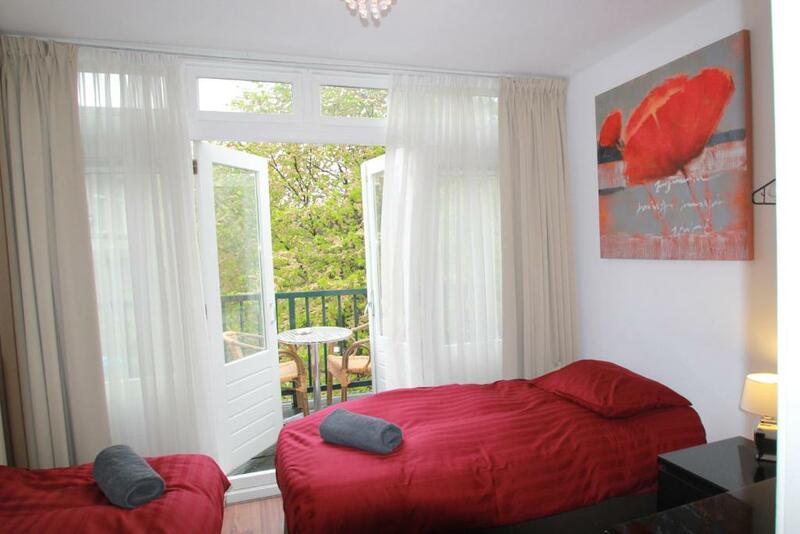 Two of the bedrooms have their own private balcony. It has an open-plan living area including leather sofas and a flat-screen TV and DVD player. The kitchen is equipped with an oven, dishwasher, and kitchenware. A washing machine and ironing facilities are provided in the apartment. It has 2 toilets and 1 bathroom with a shower and tub. 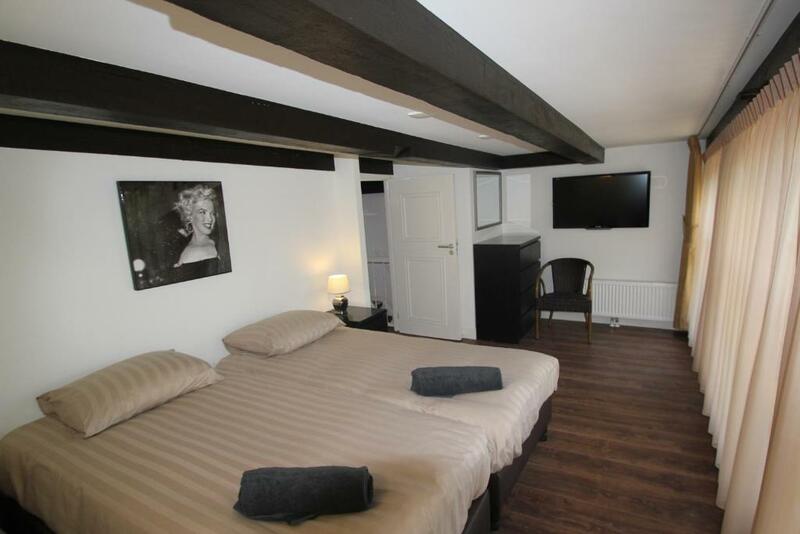 One of the rooms has a double bed and a large flat screen Smart TV. This 4-bedroom apartment spread over 3 floors and still with its 18th century structure, overlooks the bustling Rembrandt Square. 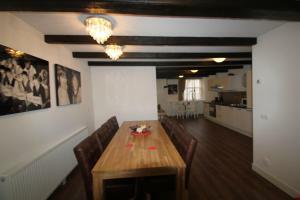 It has a spacious open plan living area with a smart flat screen TV with dvd player. The kitchen is equipped with an oven, dishwasher, and kitchenware. A washing machine and ironing facilities are provided in the apartment. It has 3 toilets and 2 bathrooms, one with a shower and one with a large bath with shower. House Rules Coco's Outback Apartments takes special requests – add in the next step! Coco&#39;s Outback Apartments accepts these cards and reserves the right to temporarily hold an amount prior to arrival. Coco's Outback Apartments accepts these cards and reserves the right to temporarily hold an amount prior to arrival. Please inform Coco's Outback Apartments of your expected arrival time in advance. You can use the Special Requests box when booking, or contact the property directly using the contact details in your confirmation. lOCATATION IS GREAT EARTHING FEW STEPS AWAYS. communication. they promised to send somebody to clean the appartment, but no one showed up & host was not answering calls. Noise was a bit much a couple nights, but guess that was part of Easter weekend holidays. Also, i found the stairs to be more challenging than expected. Was fine, but took several days to adapt. Windows in main room let out all the heat and let in all the street noise. Need replacing as they do not open properly. WiFi was also very patchy. Lots of stairs, and very narrow. But well worth the walk up.